The line between devising a new product (or service) and marketing it has become increasingly fuzzy in recent years. Nowhere is that more apparent than in digital products and services, where what the customer gets is downloadable, shareable, promoted through discussions and social media. But even in tangible products, marketing needs to feature earlier and earlier in the development cycle for success to follow. And I go back to the classic definition of marketing here – devising a product (or service) that meets a consumer need, telling the consumer about it, how they can access it and at what price. The lean start-up movement caught the essence of this brilliantly, describing how start-up companies increasingly needed to adopt test-and-learn approaches to stay very close to consumer demand, not just at the start of their ideas process but month after month, year after year, as their company evolved. Entrepreneurs increasingly came to see the old approach – have a brilliant idea and stay true to it come what may – as leaden-footed and less likely to lead to success. Agility, co-creation, design thinking and test-and-learn became the hallmarks of the new approach. Established companies are starting to come to the same view. Innovation, once the preserve of the engineering department, is now an aspiration or even a target for most medium and large enterprises. Corporate incubators – pioneered only five years ago as a way of bringing start-ups in to work cheek-by-jowl with a larger parent company – are becoming more common. The idea is that a small number of start-ups get to test and grow their ideas over a limited period (typically 6-9 months) in an incubator set up by and hosted by the parent company. The start-up gets access to capital, mentors, R&D capability, and often (the corporate parent’s) consumers. The corporate parent gets a low-price stake in the start-up, a set of new ideas and most of all some entrepreneurial “can do” spirit working close to the enterprise (but not smothered by its bureaucratic processes). In a month’s time then ten start-ups in Nike’s corporate incubator will be presenting to potential second-stage investors, after 12 weeks in the Nike Accelerator in Portland, Oregon. The start-ups have been selected from areas such as training, coaching, gaming and data visualisation to develop health-related digital services. Nike aims to nurture the next generation of innovative ideas for the Nike+ platform through the accelerator. 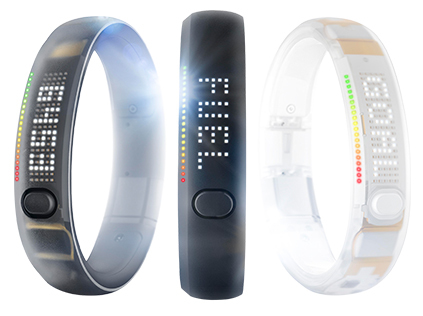 It has partnered with start-up incubator TechStars to “look for people who want to create companies that build upon the success of NikeFuel, the Nike+ FuelBand, and Nike+ Running to make the world more active”. Are the outputs from the accelerator products or services? Is Nike testing marketing or software? Is this about design or development? Will success mean the start-ups prosper as independent companies or be absorbed into Nike’s corporate structure? The answers are of course unknown – maybe the questions are themselves irrelevant. What Nike is doing here is using the entrepreneurial spirit to bring their innovation cycle closer to consumers’ (stated and unstated) needs. Signal has worked with Telefonica’s corporate incubator Wayra (Signalyard founder Neil Morris was Board Advisor for the first round of Wayra in London) and so brings considerable experience of how start-ups and established companies can work together to trigger innovation. And Signal, itself still a start-up, was founded on the idea of co-creating marketing with designers and consumers. Good products (and services) market themselves, but what makes them good in the first place is putting marketing firmly alongside design in the earliest stages of an idea – whether that’s from a start-up or from an established enterprise.